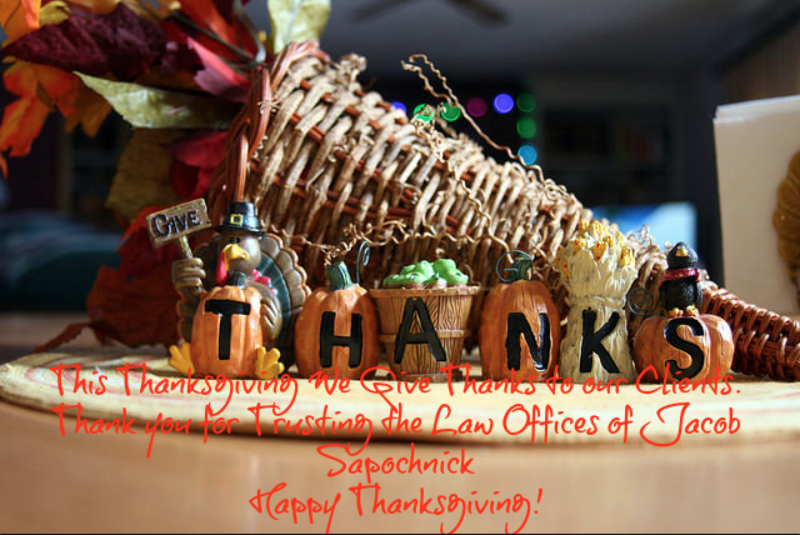 Happy Thanksgiving from the Law Offices of Jacob J. Sapochnick. We give thanks to our clients for their continued trust in our office. It is our pleasure to serve you.